Rothenburg ob der Tauber is a city in Germany located in the state of Bavaria on the banks of the Tauber river. It is considered one of the best preserved medieval cities in Europe and is part of the famous Romantic Road. Plölein is the most famous postcard in the city. Translated literally as the “Little Square”. The house is framed with two towers, the Kobolzell Tower and the Sieber Tower. The place seems to have come out of a fairy tale. 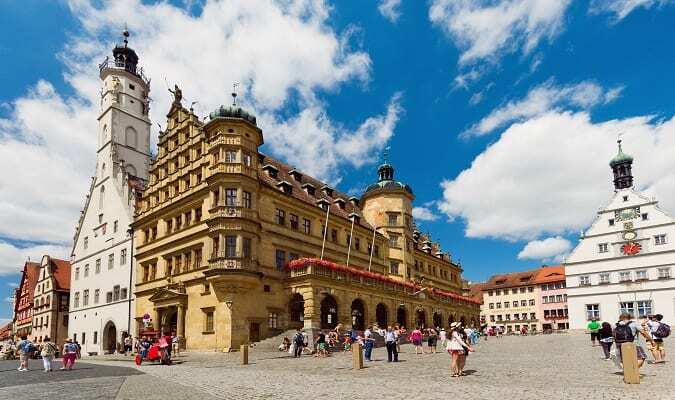 The Marktplatz is the center of the city and meeting point of tourists from around the world. On site there is the weekly market and many attractions during the summer. The Rathaus with its amazing renaissance facade overlooks the Marktplatz. The Tower of the Rathaus is the highest in town providing a spectacular view of the medieval city and its surroundings. The St Jakob is the most important church in Rothenburg. Its construction was completed in 1485. A thousand years of legal history is documented in the Mittelalterliches Kriminalmuseum. The museum is located 260 meters from the Plölein. 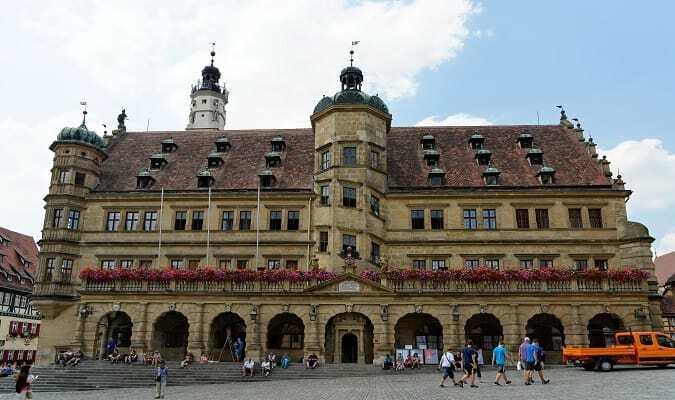 The Burggartenpalais Rothenburg is located in the historic city center. Rooms are equipped with a flat-screen TV, hair dryer. The Eisenhut Rothenburg ob der Tauber is located in the historic city center near the Plönlein. Rooms are equipped with a flat-screen TV, minibar, hair dryer. Rothenburg ob der Tauber has easy train access from various cities in Germany. Famous cities nearby: Würzburg, Nuremberg.